I picked up another nice autographed card of Herschel for the Hoard. 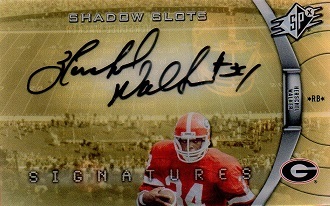 This is a 2012 SPx Shadow Slots autographed card. There are only 20 cards in the set, so it's a tough find. 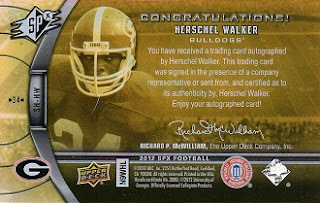 Welcome card #591 as I continue towards my goal of 600 different Herschel Walker cards.